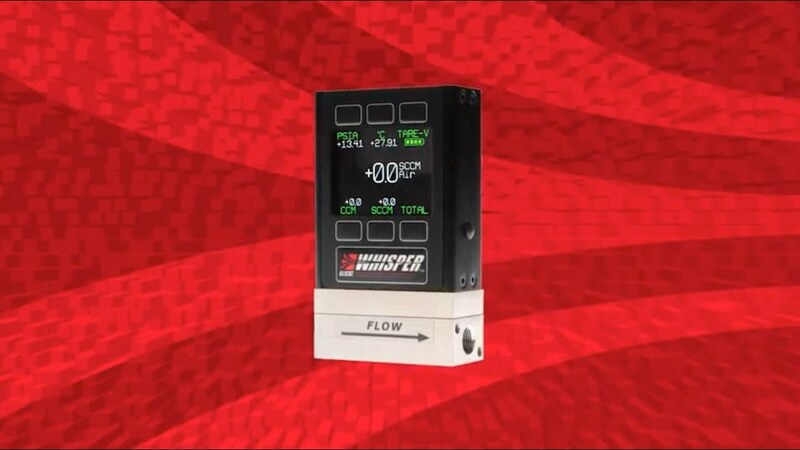 “Whisper” series mass flow controllers with low pressure drop are ideal for controlling mass and volumetric flow rates when there is little available system pressure. Low pressure drop minimizes system impact, enabling flow control at near-atmospheric pressures and shortening system response times. We’ll use your application parameters to customize your valve and PID tuning to ensure that it delivers fast and stable control while maintaining low pressure drop. Durable. MCW series flow controllers can temporarily flow liquids without getting destroyed. For environmental hardiness, we can build your MFC with IP66 ingress protection. Alicat’s MCW series uses small proportional valves for control at lower flow rates and is suitable for use with non-corrosive gases. Alicat’s MCPW series offers the largest orifice in a small valve format and is suitable for use with non-corrosive gases. Alicat’s MCHW series pairs two small valves working side-by-side as one and is suitable for use with non-corrosive gases. Alicat’s MCRW series uses nearly frictionless Rolamite valves and a variety of orifice patterns for control at higher flow rates and is suitable for use with non-corrosive gases. For leak checking smaller test volumes, such as valves or sensors, a single MCW “Whisper” mass flow controller that is set to control for pressure will maintain a constant pressure at the device under test while providing accurate mass and volumetric flow readings in real time. Configured this way, the Whisper serves the functions of both a pressure controller and a mass flow meter in one device.